Seat Cluster detail Gunnar Rock Hound now features a 44mm head tube, which lets you install both tapered and 1 1/8" forks. Gunnar Rock with optional proprietary modular dropouts in black. In the more is better world of mountain bikes – more doesn’t necessarily mean faster. The Gunnar Rock Hound is all about faster and better – pure and simple. Hard tails climb faster and maneuver more easily. That’s the key to winning cross country races. Here in Wisconsin we have miles and miles of technical, hilly single-track with plenty of rocks, ruts and roots. It’s just as demanding as the volcanic soils in the Sierra Nevadas or the Cascades. The Rock Hound eats all this stuff up with the appetite of a fast, lively steel bike. We build with the best steel there is, our custom tube set featuring heat-treated air-hardening steels from True Temper and Reynolds. We designed the geometry to push your weight forward on climbs while keeping you back from the front wheel on decents. Our 73mm wide bottom bracket shell and custom chainstays give you lots of clearance and great pedaling efficiency. 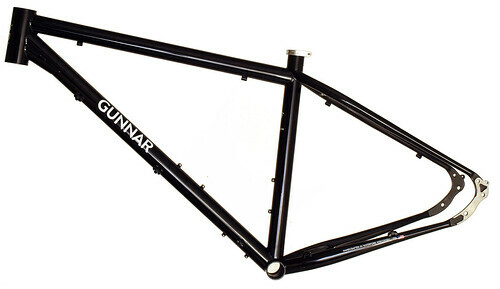 We gusseted the head tube for both strength and fork clearance. The result is excellent torsion rigidity for excellent climbing and confident descending. Designed for today’s components. 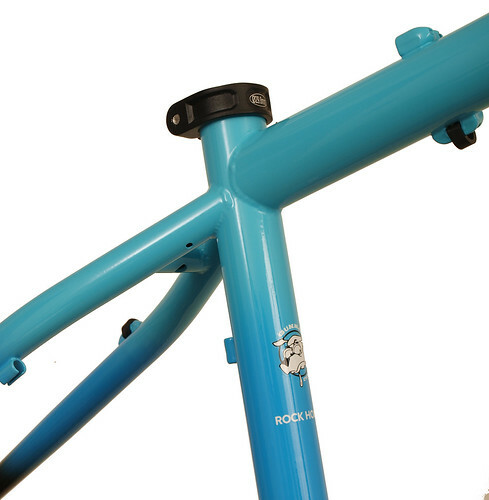 Thanks to the 44mm head tube, the Rock Hound fits both tapered and 1 1/8″ suspension forks. It’s modular dropouts let you mount either quick release or through axle hubs just by switching out the dropout inserts. 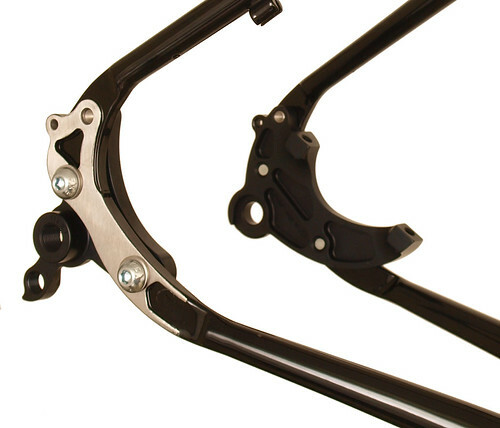 The insert system also gives you a reliable but replaceable derailleur hanger. You can now add a dropper 31.6mm seatpost as well. The 26″ wheel models will retain the classic quick release hubs and 1 1/8″ externally butted seat mast. So if your need’s for speed, the Gunnar Rock Hound’s your rocket. We’re big fans of these great organizations: IMBA, Wisconsin Off-Road Series, Wisconsin Off-Road Bicycle Association, Wisconsin Endurance Mountainbike Series, Chequamegon Fat Tire Festival, and of course Milwaukee’s Fat Tire Tour. There’s no end to the fun. The Rock Hound comes in several stock colors, with base options changing from month to month. For other ideas, check out our Archived Colors. Recent colors of the month are available for a nominal charge. You can customize colors with a wide range of options, including one-step, two step and special effects colors.